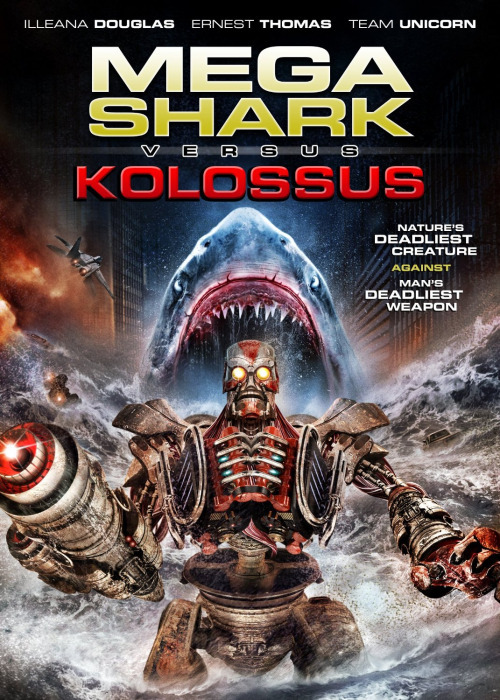 MEGA SHARK VS. KOLOSSUS deals with a group of scientists and military stereotypes (headlined by Illeana Douglas) attempting to stop an oversized CGI shark build and a Dollar Store Russian robot who are on a collision course for a CGI smackdown in the open ocean. 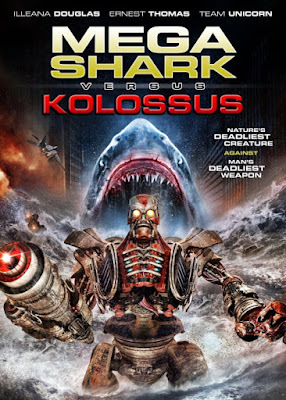 This low budget Saturday morning cartoon is available for streaming on VUDU and Amazon Instant Video, but as always, you're better off leaving this CGI domestic dispute to us and finding some other cinematic toy box to play in. 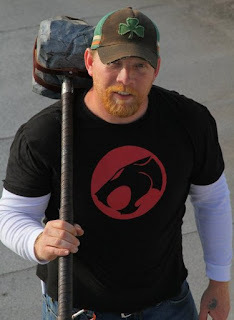 Our special guest in the Restroom this time out is producer and director Christopher Douglas-Olen Ray. In addition to MEGA SHARK, Ray's prolific credits include directing duties for MERCENARIES (SRC 058), SHARK WEEK (SRC 079), and 3 HEADED SHARK ATTACK.